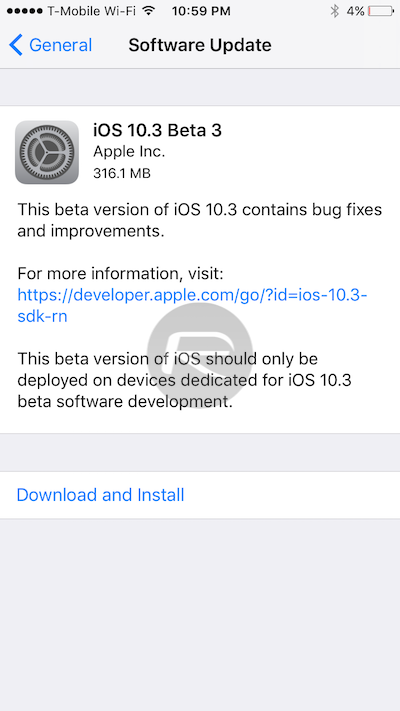 Apple has today made available to download iOS 10.3 beta 3 to those registered on the company’s developer portal. The release comes approximately fourteen days after the reveal of the second iOS 10.3 pre-release seed, and approximately three weeks after Apple first introduced iOS 10.3 to the world in order to immediately get the latest version of the platform in front of a set of enthusiastic individuals who are eager to help Apple push iOS forward. The initial release of iOS 10.3 brought with it some really nice changes, improvements and additions for developers and testers to sink their teeth into. One of those feature improvements included the updated Find My iPhone experience which now lets owners locate lost Apple AirPods if the need ever arises. That feature was complimented with another feature that now lets users leave App Store reviews from within an app without having to leave the experience. There were also wholesale SiriKit improvements which should improve the Siri experience not only on Apple’s iOS devices, but also within third-party apps. Perhaps not as interesting to end-users, Apple has also taken the opportunity to put together a whole new file system within OS 10.3 called APFS, or Apple File System. The second beta of iOS 10.3 predominantly focused on the progression of those new features, as well as the introduction of a number of bug fixes, such as patching an issue iPad Pro owners were having with Apple Pencil. 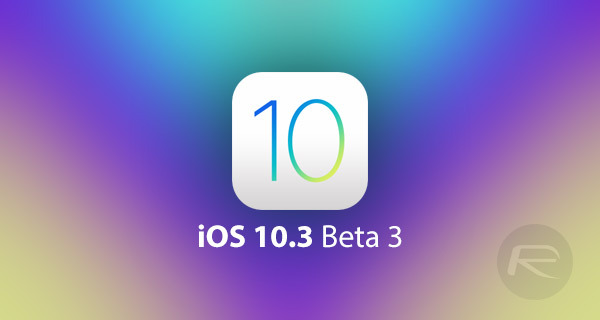 This latest beta 3 release is most definitely a progression of those improvements and changes, meaning that with future beta releases of iOS 10.3, we won’t be seeing anything new and noteworthy as Apple steamrolls to a final and stable version of the platform. Those with an existing beta version installed on their device can grab the latest release right now as an over-the-air software update via the native Settings app (Settings > General > Software Update). For those new to this, head to developer.apple.com to get started. iOS 10.3 beta 3 is not available to public testers yet. Whenever it does, we will update and inform you about it accordingly. Stay tuned. Update x1: Our post detailing all the changes new in today’s beta 3 seed is up. You can check it out here: iOS 10.3 Beta 3 Changes And New Features: App Compatibility And More. All i want is to be able to jailbreak my iphone 7. Due to all the negative feedback about the iPhone7 crashes etc. I dare not jailbreak it. Unless someone knows something it i don’t and knows to how to make it stable. Im On iphone 7 10.1.1 Also have blobs saved for 10.2. Anyways shed abit of Useful info, i Greatly appreciate any help guys.